EVERARDS have pledged their support for the Friends of the Tenth’s fund-raising by giving ‘wings’ to the mission to create a special memorial. The award-winning and family-run business are backing our bid to raise £75,000 by brewing a special guest beer called ‘Myrtle’ to commemorate her association with the 10th Battalion, the Parachute Regiment when they were stationed in Somerby. In September this year and again twelve months later, five pence will be donated by Everards from sales of each pint of a red ale which has been named after Myrtle the Parachick, a hen adopted by the Battalion who earned her ‘Para Wings’ at the Battle of Arnhem. The special ‘Myrtle’ ale will be available to Everards’ 178 pubs throughout Leicestershire and the surrounding areas during those two months. 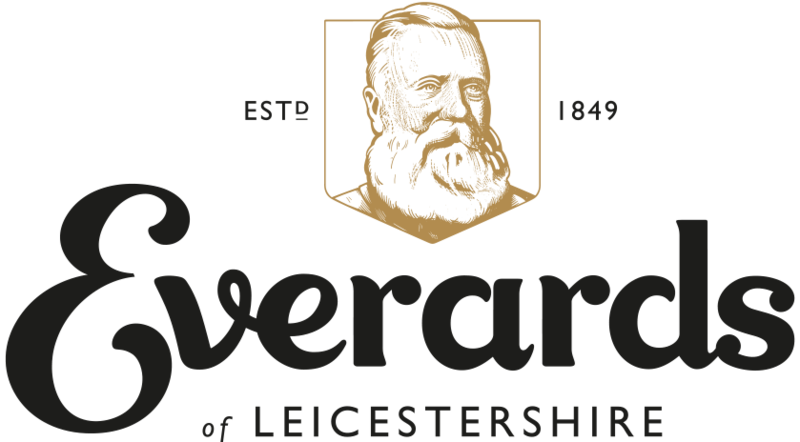 Everards’ Head of Marketing Erika Hardy said the Leicestershire-based company were proud to be giving their support to such a worthy local cause. “As a local brewery, this fits perfectly within our programme of brewing guest beers for a month which celebrate or support our community,” she commented. She added: “An important part of our creation of a guest beer is ensuring that it bears some relation to the event or story behind it, which is the case with Myrtle. Alec Wilson, Chairman of the Friends of the Tenth, said: “This is a fantastic start for the campaign to get one of our major local companies on board. 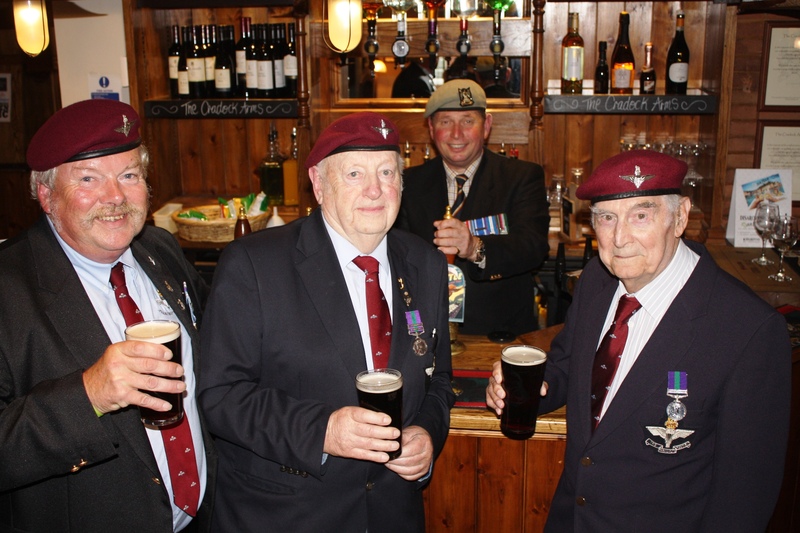 *Picture caption: Cheers Myrtle – former paras John Gibbard, Jack Gilbert and Alan Staff sample the special brew while Tim Hall-Wilson, fund raiser and former Royal Scots Dragoon Guards, pulls the first pints of Myrtle at the Cradock Arms. AN OFFICIAL announcement to launch the Friends of the Tenth Appeal has been made in the countdown to this year’s annual commemoration in Somerby. Members of the Friends of the Tenth group outlined their proposals to create a new legacy and memorial to the 10th Battalion, the Parachute Regiment. 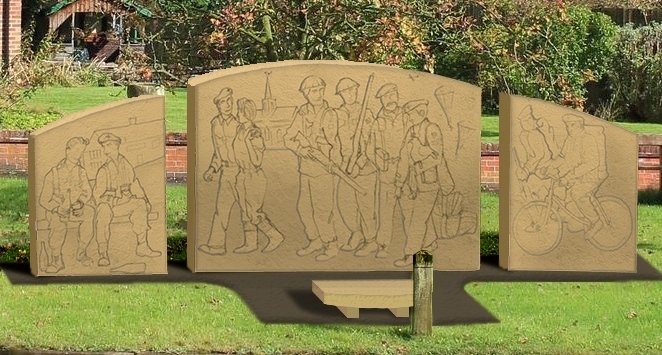 They are aiming to raise £75,000 for the memorial to be erected in Somerby, but just as importantly they want to raise awareness of the local link with one of the most significant passages of history in the countdown to the end of the Second World War. The Battalion developed strong connections with villages in and around Somerby in the lead-up to it suffering heavy losses at the Battle of Arnhem in 1944. A total of 582 servicemen left Leicestershire on September 18th, to be dropped behind enemy lines for what became known as ‘A Bridge Too Far’, but only 36 survivors returned to the village two weeks later following the Battle of Arnhem. “It is our aim to cement and perpetuate this almost unique legacy of the bond between Somerby and the Parachute Regiment in every way possible,” commented Alec Wilson in explaining the mission of the Friends of the Tenth with their appeal. “We aim not only to erect a village memorial carrying the names of all the brave young men who served in the 10th Battalion, we also wish to ensure this lesson from history is never forgotten with the annual commemoration and associated events continuing in perpetuity. Friends of the Tenth are drawing up a programme of fund-raising events, some of which will be focused on the annual commemoration service and parade. “The level of support which we have already received, not only from local people, but also many with the interests of the Parachute Regiment at heart, fills us with confidence that this fund-raising and awareness campaign will be successful,” said Alec. THE LAUNCH of the Friends of the Tenth Appeal has given even greater purpose to the annual Somerby Commemoration weekend this year. A prominent feature of the 2017 event will be a joining of forces between the 10th Battalion, the Parachute Regiment, and our sister Battalion, the 156th. The Melton-based association, led by John O’Reilly, Peter Silk and Rosie Anderson, will be present on Sunday 10th September at the church service and the parade through the village of Somerby which will be led by the Pipe Band of the Seaforth Highlanders. Once again, for this the 73rd annual Commemoration, large numbers of people are expected to line the streets for this focal point of the weekend’s events. But there is so much more to the occasion, which begins on the Friday evening with a film show for the screening of ‘A Bridge Too Far’ in the Memorial Hall. The programme of activities on the Saturday afternoon features a Teddy Bear Parachute Jump, a 1940’s Tea Dance and a World War Two Paras Exhibition. Then, the attention will switch to the Sunday morning for the church service and parade, so why not pop along to enjoy a great weekend for all the family. Is Your Teddy Bear Brave Enough To Jump? BRAVE teddy bears with a head for heights will be taking to the skies to raise money for the Friends of the Tenth Appeal at the annual Somerby commemoration weekend. Entrants into a special parachute drop in the village will earn their wings and their owners will have the satisfaction of helping to generate valuable funds for the appeal. This family event is part of the celebrations which will take place over the weekend of September 9th and 10th in what is the 73rd year of the annual commemoration. Those taking part will be able to register their teddy bear at the Memorial Hall in Somerby after 1.30pm on Saturday 9th September with the jump starting at 2.30pm. 1. Teddy bears must register, with their owners at the registration desk. If they have not already done so, they will be asked to complete a registration form. A jump fee of £1.00 per jump will be charged. 2. At registration, teddy bears will undergo a medical examination and safety check. Only Bears that pass the medical will be given permission to jump. The Medical Officer’s decision is final. 3. Teddy bears who pack their own parachutes must have them firmly attached prior to registration. 4. Instructors will attach parachutes to teddy bears who do not bring their own. 5. Please ensure that participants are not hard bodied and are not wearing or carrying any hard items that could injure themselves, other bears or spectators. 6. Teddy bears must NOT carry live ammunition or grenades. This is not an Operational Jump. 7. Teddy bears must form an orderly line. Failure to do so will be punished by being sent to the back and possibly returned to unit. 8. Teddy bears must obey safety instructions from the Dispatcher at the top of the tower. 9. Refusal to jump will preclude teddy bears from obtaining regimental ‘wings’. 10. 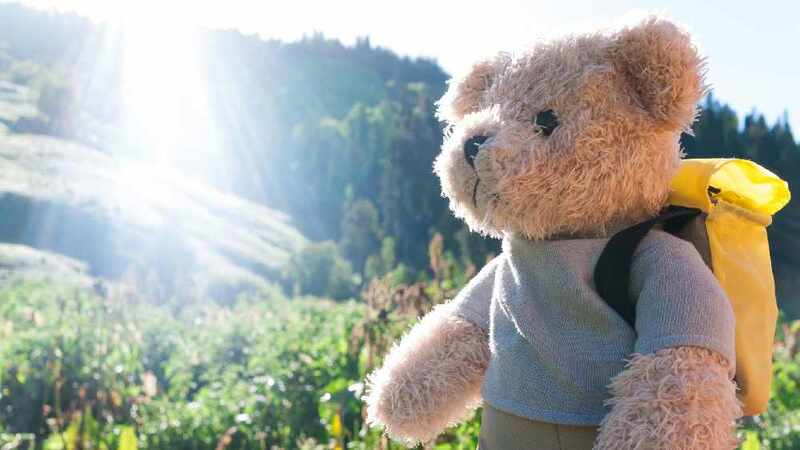 If a parachute does not open, and the teddy bear survives, an opportunity for a second jump will be given, subject to permission from the Medical Officer. 11. Teddy bears must clear the drop zone quickly, safely and proceed in good order to the RV. 12. Whilst every care will be taken, the Jump Masters will not be held responsible for loss or damage to teddy bears. 13. Teddy bears that have completed their regulation three successful descents will be awarded their ‘wings’ at the discretion of the Course Commanding Officer. 14. The Jump Master’s decision is final. 15. The Jump is subject to weather conditions. Name of teddy bear and owner, address of bear, height and weight of bear, any distinguishing features, pre-existing medical conditions and previous parachuting experience.